The Menton hanging lantern is an elaborately wrought design suspended on a chain. 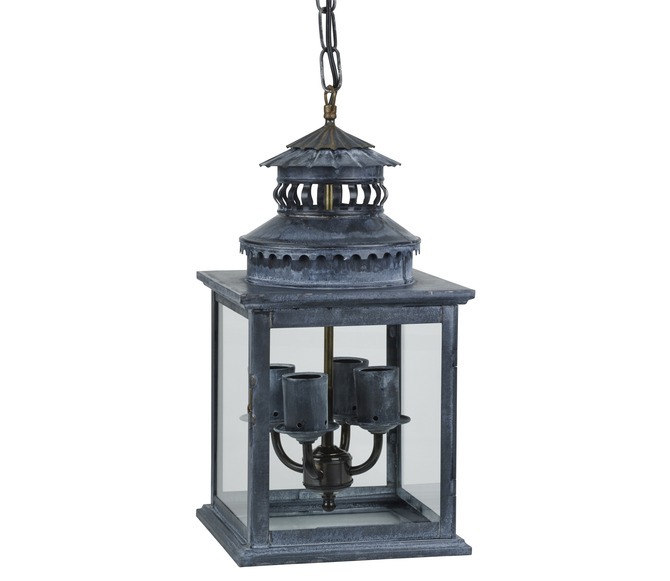 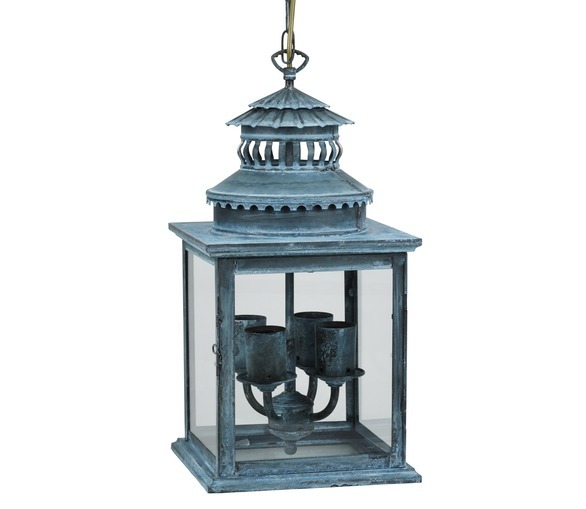 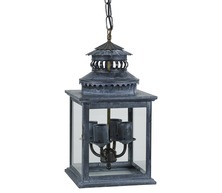 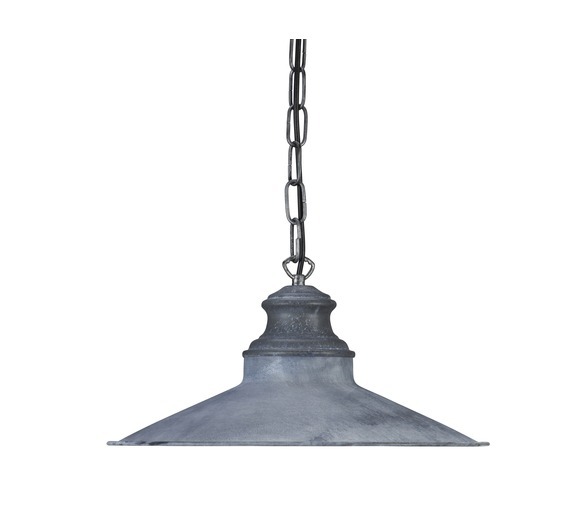 It can be used as an outdoor lantern, but also makes a stunning hallway lantern. 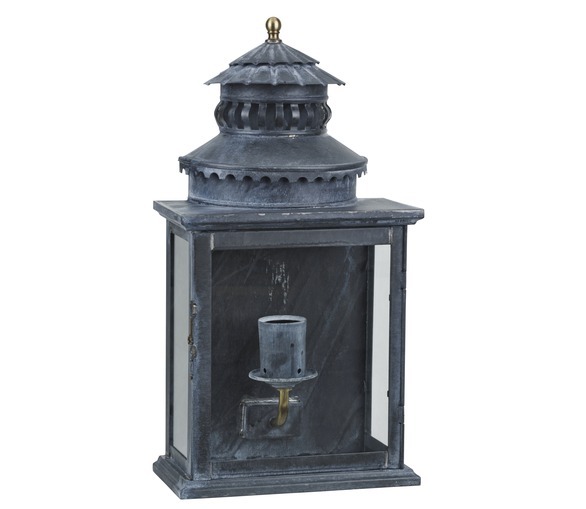 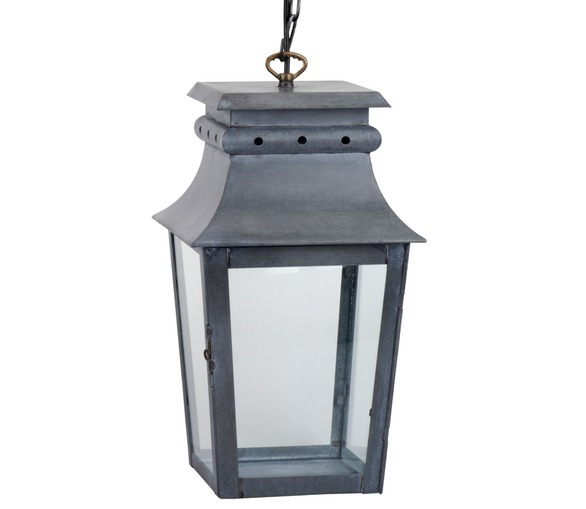 The aged zinc finish is applied by hand and there are slight variations from one lantern to another.